My player is Jean Bartholomew. As expected, the field has gone deep into the alternate list. Picked up Jean Monday afternoon. After adding a new Callaway driver to the bag, we caught up with Laticia Beck and Lisa Ferraro on the fourth tee for a little practice. We all packed it in after nine. 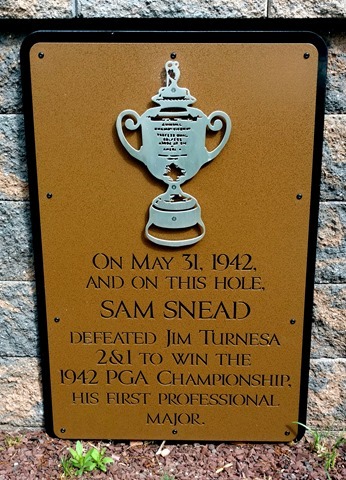 Our pro-am for today was at the Seaview Pines course which has a bit of history itself. Afterwards we alternated from 1-3 for the Bay Course. Turns out the 5th time around isn’t a charm. 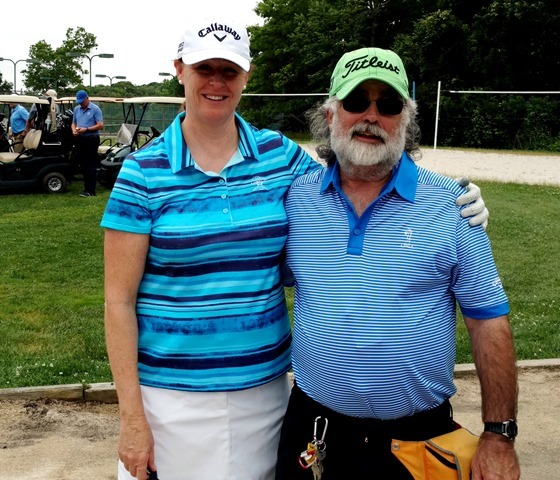 The caddie/player team of Rick Wynn and Jenifer Johnson have split once more. Rick is with Maria McBride this week. Speaking of player/caddie duos, how about this week’s combination of Kim Williams and Motorcycle Jim. This is the second consecutive week Symetra Tour player Britney Hamilton is looping for Daniela Iacobelli. Tom Borwick worked the Open qualifier at Canoe Brook and gave a good example of the unpredictability a local caddie may bring to a competition. To Tom’s surprise (well, maybe not), a looper in his group pulled out a laser on the first hole to shoot the yardage. Tom notified an official who was witness to him doing it again. Add two. Here are the open qualifiers so far. Every pro-am group has one local caddie to take of business but one didn’t exactly impress the pro yesterday. She filed a complaint for rude behavior and he was not allowed to work today. He denies her accusation but they didn’t even get his side. Seems a player’s word is taken as fact when a caddie is concerned. This entry was posted on Thursday, June 2nd, 2016 at 3:37 pm and is filed under Uncategorized. You can follow any responses to this entry through the RSS 2.0 feed. You can leave a response, or trackback from your own site. Larry, good that you got work for the week. Does Jean still hit it loonnnngggg? I must say, Kim Williams hasn’t aged much, great combination with Jim. Are the signs still around the putting green regarding bug spray and DDT. Not as long as she used to but longer than average. No signs.Spray is flying everywhere.